Norway’s Vitne (Norwegian for Witness) has been slowly – and steadily – carving out a name for himself through free music platforms such as Bandcamp and Jamendo, the last of which has seen upwards of 200.000 downloads for his work. His unique mixture of symphonic melodies, abrasive metal, and downright epicness has earned him a supportive following that dubbed his style as Zen Metal, which makes plenty of sense once you catch a glimpse of his work. His short, yet prolific career has brought just short of a dozen releases up until this point. Jupiter, his latest offering, shows how much polish Vitne has added to his art through the years and establishes the Norwegian as an accessible artist despite the complexity commonly associated to the genre. 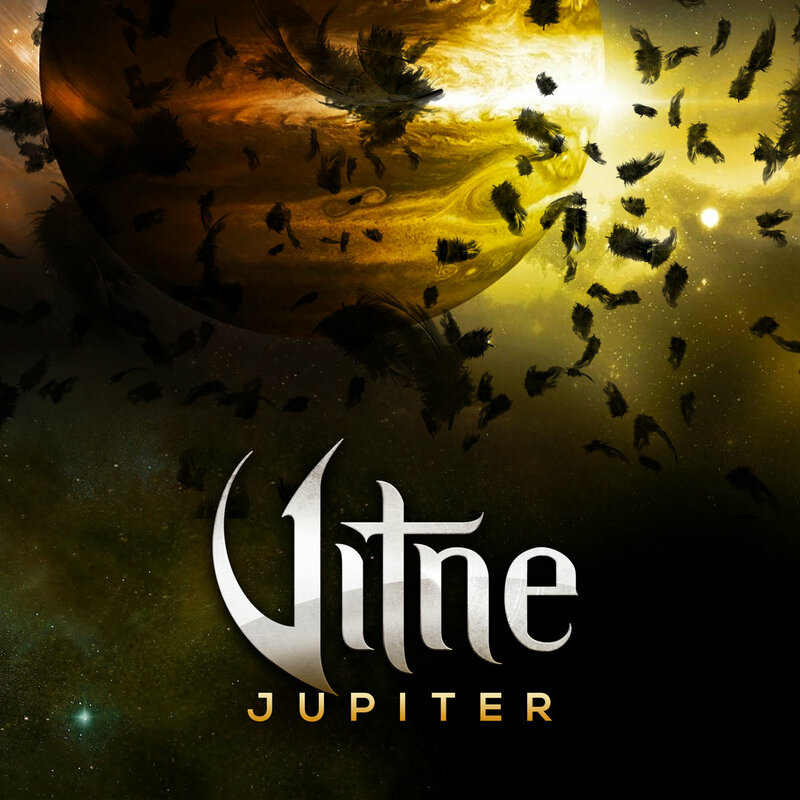 Vitne’s ability to craft a tremendously catchy hook is blatantly evident throughout Jupiter. Tracks such as Lion, Edge and the title track swiftly waltz between high-octane verses and thunderous choruses where Vitne pushes into his voice’s limits surrounded by increasingly epic instrumental work. It’s mostly Alt-Rock/Metal in the loudest moments, but the way guitars and drums are textured makes for an instantly memorable experience. Also, Vitne’s ability as quite a competent singer doesn’t hurt the cuts, either. At the beginning of this review, we mentioned an emphasis on symphonic melodies, which represent the other face of the record. Under the Moonlight, Far Away, and opener Mirror all feature a much quieter atmosphere and more dramatic storytelling, adding a great deal of variety and freshness to the record. To wrap up the sonic landscape of the album, tracks such as Far Away combine the two aforementioned styles for an even more epic adventure because, why not? Jupiter is a decided niche experience, but you are in for a treat if it resonates with you. With a mature style, creative storytelling and delightfully crafted sounds, Vitne’s latest leaves a noteworthy antecedent going forward. Stay tuned for more of the Norwegian whenever he strikes next.